The Evolution of Mara Dyer by Michelle Hodkin Review - My Life Is A Fairytale That Will Never End. Ah Mara, Mara. In the first book I was quite confused. I didn't know what was real and what wasn't. And I really don't know if now me being a Psychologist has some kind of corelation with it, but God help me, this book was absolutely-uterrly-holy-freakshow A-M-A-Z-I-N-G. Really, I was speechless in the end. And I cried, which is saying somehting. I haven't been so scared while reading a book since Blood Promise by Richelle Mead, while Rose was excaping trough the maze with the moonflowers with Dimitri on her heels. Does it ring a bell? God, I was so anxious, and I thought I would never get to be so scared-terrified-and on the other hand-hopeful trough a book again. HA! Wrong answer. The Evolution of Mara Dyer kept me on the edge practically the whole time. Woah, what a roller-coaster! Mara in this book is even more awesome. I just LOVE how she always think of an answer and then answer something completely different! I was laughing like crazy.. when I wasn't so scared I couldn't force my heartbeat to slow even a little bit. Mara really rocks. Noah. Aww, I remembered him being hot, but hell I didn't remember him being such a gorgeous and a completely adorable guy! Some things he said to Mara? It became my goal to find a guy in this world who will say those things to me too. It my new mission in life. So please, if you know any wanna-be-Noah-Shaw near you, please, point me the right way. The Evolution of Mara Dyer was absolutely fantastic and I can't wait to have the third book in my hands! 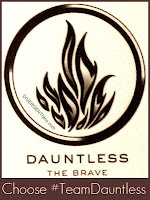 Michelle Hodkin did an awfully amazing job with it. And as a psychologist? Holy woah, I loved every minute of it, I swear! 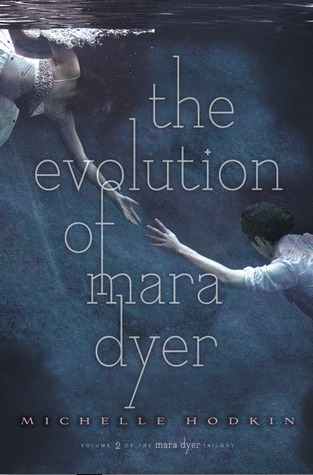 So if you're looking for a fast paced book filled with awesome psychological elements, a roler-coaster of emotions and a jaw-drop-incredible romance, The Evolution of Mara Dyer is the perfect book for you! I shook my head, growing more and more frustrated. "Why do you keep reaching for science?" "Why do you keep reaching for magic?" "Never mind them." He moved back to his bed and stood beside it, looking down at me. "I don't care about them. Tell me what to do and I'll do it," he said. "Tell me what you want and it's yours." "I'm sorry," I started to say. But then a few seconds later, when Noah's expression still hadn't changed, I said, "Actually, I'm not. You want to go because I don't agree with you? There's the door." She smoothed my hair down my back. "I love you." My throat burned with the tears I wanted to cry but wouldn't. I knew she loved me. She just didn't believe me. I understood why, but it hurt like hell just the same. I WANT TO READ THIS BOOK SO BADLY! I've been seeing teasers and excerpts and fabulous reviews online and I physically NEED this book now. Loved all the quotes you added, Nea, and I can't wait to read about all the cool psychological aspects of the book! Amazing review, Nea :D So glad you loved this book. <3 I did too. It was just so damn good! And yeah. Mara was amazing. Yeah, wasn't so confused in this book ;p I cried too! Hih :) And sigh. Noah is amazing. 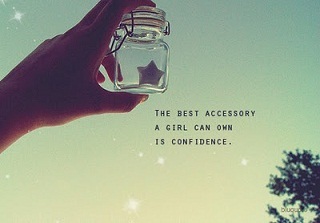 <3 So perfect. Don't do this to me! I have the first book on my to-read list...actually it has been there for a long time. I must read it. I really do especially now when the second one is out. I really need to get to this series. Thanks for sharing.